Just slice up a bunch of onions. 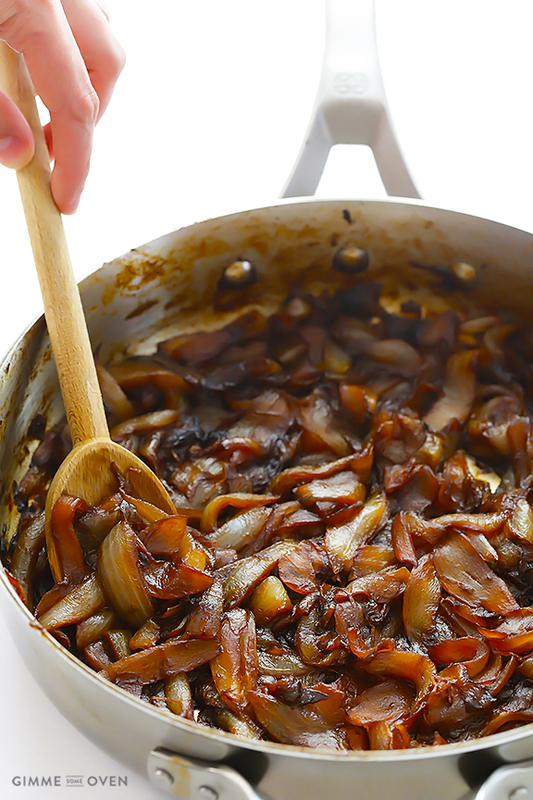 (You can use white, yellow, or red onions, or a combination of any of those.) Toss them with some melted butter. Then let them cook on low for about 12 hours total until they reach that perfectly caramelized, deep golden brown, sweet and savory perfection. Yep. It really is that easy. The onions will definitely release lots of natural juices while cooking, which can make the onions slightly soupy near the end. So if you would like that liquid to evaporate, thus making your onions a little thicker and “jammier”, just set the slow cooker lid slightly ajar (1-inch of so) for the final few hours of cooking.